The Florida Fish and Wildlife Conservation Commission (FWC) is gathering input on management of the recreational spotted seatrout fishery. You can share your input by taking an online survey at SurveyMonkey.com/r/Seatrout2018. Your input will help FWC better understand the public’s satisfaction and desires related to this popular recreational fishery. John LaBove caught and entered this 15.48lb beauty out of lake Fork! She was weighed and held at the Minnow Bucket until staff arrived, an official ShareLunker Station. NOAA Fisheries announces a final rule for Amendment 41 to the Snapper-Grouper Fishery Management Plan in the South Atlantic. This rule updates mutton snapper catch limits and fishing regulations based on the most recent population assessment. Regulations will be effective on February 10, 2018. Revises the commercial catch limit. Increases the commercial minimum size limit from 16 to 18 inches total length. Establishes a commercial trip limit of 500 pounds whole weight during January through April and July through December. Establishes a commercial trip limit, during the April through June spawning season, of five mutton snapper per person per day, or five mutton snapper per person per trip, whichever is more restrictive. The purpose of the trip limit is to protect fish that are aggregating to reproduce. Revises the recreational catch limit. Increases the recreational minimum size limit from 16 to 18 inches total length. Decreases the recreational bag limit within the ten-snapper aggregate bag limit to five mutton snapper per person per day. Revises the recreational catch target. Specifies the maximum sustainable yield (long-term average catch that can be taken from a population under prevailing ecological and environmental conditions). Specifies the minimum stock size threshold (level below which a species is overfished [population abundance is too low]). Please see the Frequently Asked Questions below for more information on these actions. Why are the actions necessary? A population assessment for mutton snapper conducted in 2015 indicated that the population is not undergoing overfishing (rate of removal is too high) and is not overfished (population abundance is too low). However, the assessment update concluded that the mutton snapper population is smaller than estimated in the original mutton snapper stock assessment, completed in 2008. 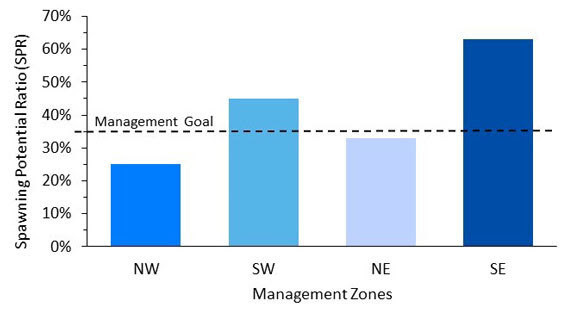 As a result, the South Atlantic and Gulf of Mexico Fishery Management Councils’ Scientific and Statistical Committees recommended a lower acceptable biological catch (ABC). This final rule modifies management measures and catch levels in the South Atlantic consistent with the lower ABC recommendation. Furthermore, stakeholders and law enforcement personnel have stated their concerns to the South Atlantic Fishery Management Council about overexploitation of mutton snapper when the species is aggregated to spawn. The Florida Fish and Wildlife Conservation Commission (FWC) has received similar comments. Therefore, the South Atlantic Fishery Management Council coordinated with FWC to develop compatible regulations for mutton snapper on the Atlantic coast in Florida state waters and Federal waters that address stakeholder concerns and benefit the mutton snapper resource. What are the proposed commercial and recreational catch limits? Table 1. Commercial and recreational catch limits for 2018-2020 through Amendment 41. Why is the catch limit for the recreational sector specified in numbers of fish instead of pounds? The recreational catch limit is specified in numbers of fish because recreational fishermen report landings in numbers, not by weight. In addition, the average weight per fish is expected to increase due to the minimum size limit increase to 18 inches total length. Therefore, the South Atlantic Fishery Management Council has concluded that the combination of increasing the minimum size limit and converting the catch limit from numbers to pounds for the recreational sector could increase the risk of exceeding the ABC. Where can I find more information on Amendment 41? Amendment 41 may be found online at the NOAA Fisheries Southeast Regional Office Web site: http://sero.nmfs.noaa.gov/sustainable_fisheries/s_atl/sg/2016/am41/index.html. Jan 18, 2018 West Palm Beach, Fl It’s chilly out there. In fact, it’s downright cold in some of Florida’s typically balmy coastal regions. Whether you appreciate the break from the heat or you are suddenly longing for our typically warm weather, it is worth taking a minute to think about how the weather impacts our snook and other tropical fish. For many, the current dip in weather immediately reminds us of how badly snook were impacted back in 2010. Luckily, the current weather event is not projected to be nearly as impactful. Back then, we had freakishly cold temperatures for over a week, with drizzling rain and consistent wind. That led to a lot of ‘cold kill’ fish deaths. So far, this event is shaping up to be less severe for a few reasons. First, it shouldn’t last nearly as long. Water cools much slower than the air, so a couple days of chilly nights and cloudy days is far less damaging than a week or more. It also has been a little cooler for a few days, which might have provided a signal for snook up in shallower waters to skedaddle to deeper, safer waters before the chill sets in. Another difference between this snap and 2010 is the wind direction, which has a bigger impact on the fish along the west coast. Waters from the Everglades up through the Tampa area are a lot more shallow than on the east coast, where deeper waters – warmed from the tropical Gulf Stream – are right next door to many fish hang-outs. If you’ll recall, the 2010 freeze featured consistent NE winds which blew the west coast tides out and never let them come back in. That trapped a lot of snook in the shallow back country, where they froze by the tens of thousands. If the current winds hold, there might be enough water in the cuts and runs for snook to head to the safety of warmer, deeper waters for a few days. Usually, as the trapped snook start to chill, they will slow down and start to swim erratically near the surface, then eventually roll on their side or back and lay still in a stunned state. If it is only a short cold snap and the sun warms water right away, they might survive – at least for a while. But more than likely this leads to death. If you are on the water a lot, you will probably see some stunned or dead snook. Here’s what you should do. First, don’t touch them. If they look dead, they might not be and bothering them in their severely stunned state won’t be doing them any favors. And if they are dead and an FWC officer happens to find out you are grabbing them up, you won’t be doing yourself any favors either. Speaking of FWC, I was recently reminded that the winter closure in Florida is directly related to weather events just like this. SGF member Capt. Danny Barrow called me after he filmed an episode of “XGEN Fishing Show” with owner Andy Alvarez, and they were talking about snook closed seasons on the show (https://vimeo.com/channels/xgenfishing). A question arose as to exactly why there is a winter closure. A quick call to Jim Whittington at FWC reminded us that the closure was originally put in place because of weather events just like the one we are experiencing. It is illegal to harvest cold-stunned or killed snook, for a variety of reasons (which we hope are obvious to you). To keep FWC officers from having to investigate every snook they encounter in a cooler during an extreme cold snap, it was agreed that the most prudent move would be to eliminate any harvest, making life better for our officers, our snook, and in the long run us snook anglers too. Back to What-To-Do: Your second move should be to report the killed fish to FWC’s Fish Kill hotline. You can do this by phone (800-636-0511) or online at http://myfwc.com/research/saltwater/health/fish-kills-hotline/. This is actually better than calling your regional FWC office, even if you know there are snook researchers there. The reason is, the hotline is where the information is consolidated across the state, and that is the source of info that will tell the regional offices where to look for issues. Finally, this little snap needs to serve us all as a reminder of the importance of logging all of our catches in iAngler, using the app or website (www.angleraction.org). The 2010 snap is what started the iAngler program in the first place. 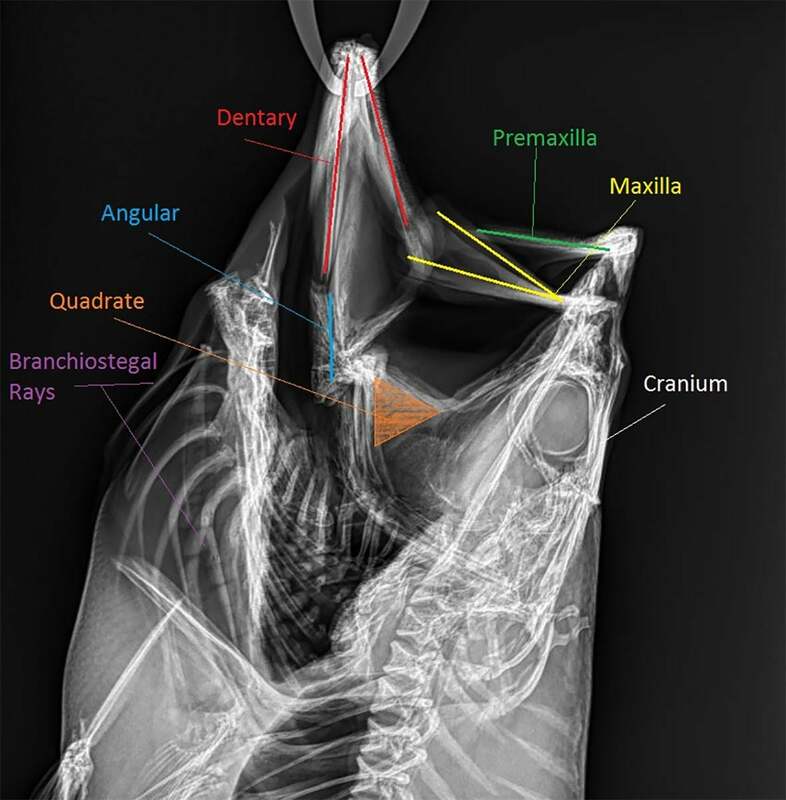 Since then, the data has been used in stock assessments for a variety of species in Florida, and has branched out to help other fisheries better their understanding of the fisheries (most recently Atlantic Red Snapper). But it only works if we log our catches. It’s free, and it is a superior personal log book for you. Visit your app store and download the free app, iAngler, and start logging ASAP. This will help across all facets of fishery conservation, including how best to respond after a cold episode like this one. Certified by the Outdoor Writers of Ohio State Record Fish Committee. Don’t forget to pick up a Musky Ruler. Click Here to order yours. Musky activity peaks in late summer, as warm water temperatures drive these apex predators to feed opportunistically on abundant natural forage, and to aggressively chase anglers’ baits. Full-time musky devotees frequently drop their paychecks on custom topwaters and giant multi-blade bucktails, study the moon and sun charts, and target trophy waters to get their summer musky fix. 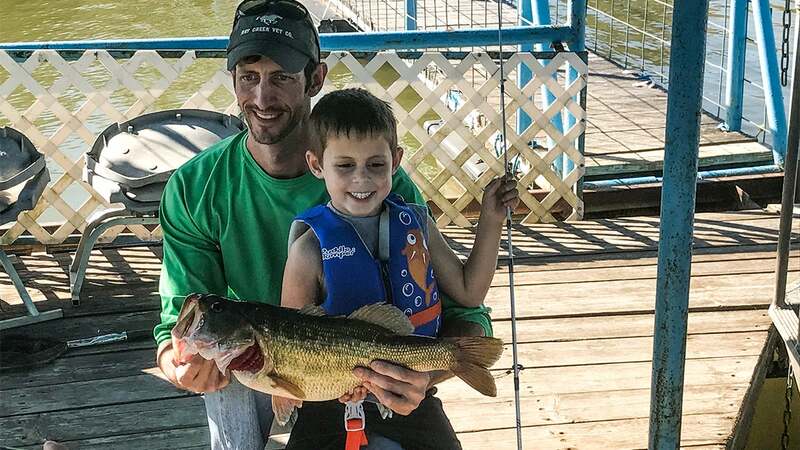 Then, there are the rest of us: anglers with families and jobs, who split limited fishing time among several different target species swimming in convenient locations. For us, the musky bug has yet to take complete hold. Nevertheless, we still enjoy the chase, and revel in its success as we lift muskies from the big Frabill net, snap a quick photo and send Esox back to the depths. How can we enjoy consistent summer musky success, without devoting our entire existence to catching them? For me, modern technology levels the playing field, and puts summer muskies in the boat when I’m not chasing river smallmouth, cleaning the cabin gutters or pulling the kids on the tube. Here are four “tech tips” to help you hoist more warm weather muskies this season. 2. Use your eyes, too. Nothing beats visual confirmation of the new micro-spot that you’ve just identified electronically with your fish finder. One of the most powerful and versatile tools in my fish finding arsenal, for both soft and hard water, is my Aqua-Vu HD 700i underwater camera system. A high-definition perspective on the underwater world, courtesy of Aqua-Vu’s high quality optics, allows me to fish with confidence, knowing that I am indeed targeting the right areas for the right fish. 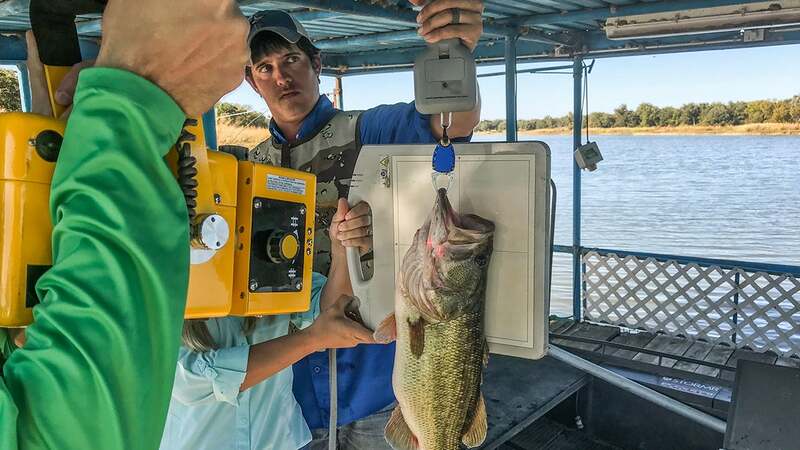 Beyond using the Aqua-Vu camera to probe structure, I frequently rely on the same system to confirm the identities of fish that sonar reveals in these same areas. On many of the lakes I frequent, muskies rely on young panfish and related species for summer forage; visually identifying snack-sized sunnies and crappies with my Aqua-Vu camera tells me that the buffet is set for Esox.1. Pick your spots. First, get away from the shoreline. You’ll encounter more quality summer muskies on mid-lake structure than you will back in the shallow bays where you found them in the early part of the season. I gravitate toward humps and bars out on the main basin, and rely on the wind to help me pick my spots. Prime locations are long bars that run perpendicular to that day’s prevailing wind. Barren sand bars will be, you guessed it, devoid of fish. Rocks for cover are good. Weeds are better. Sprinkle a few big boulders along a weedy bar or concentrated right on its tip, and you’ve got a winner! 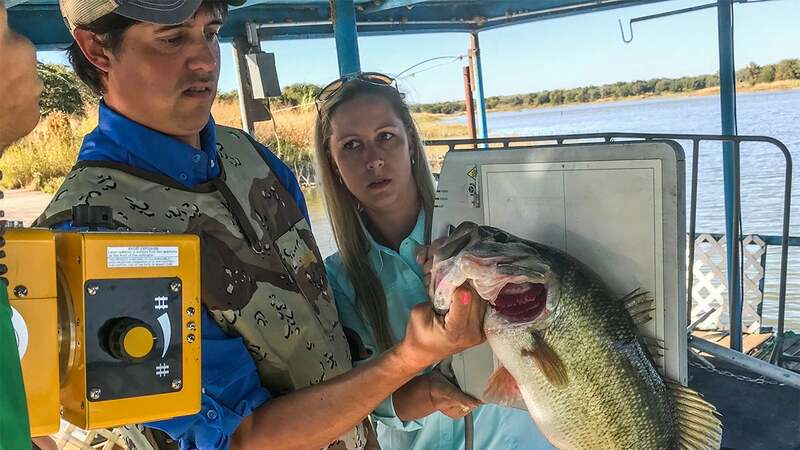 A modern fish finder equipped with side-scanning sonar technology is your friend here, eliminating dead water and putting you on prime musky spots, faster. 4. Get your Mojo on. Technique-specific rods are all the rage. I admit to having rods in my walleye collection that I only use for rigging, others only for corking, and still others for each of a variety of jig-based presentations. My musky rod collection, however, relies on a “generalist” rather than a host of specialist rods. The rod that I reach for, every time, is my eight-foot Mojo Musky (MM80MHF) from St. Croix Rod. Relying on a generalist rod doesn’t mean that I have to compromise on features or functionality. Whether I’m slow rolling a spinnerbait through the weeds, going over the top of the weeds with a Cowgirl, or riding the waves with a topwater, my Mojo Musky handles each presentation with the precision and toughness that summer muskies demand. The Mojo Musky’s eight-foot length allows me to transition into a figure 8 with ease, and the modest weight of the rod doesn’t leave me fatigued after chasing muskies for the day. A hidden bonus? At eight feet in length, this predator powerhouse still fits in my boat’s rod locker, making it convenient to store in the boat all the time, until the Esox hour arrives. My Mojo Musky is an important, final component of my hi-tech solution to the summer musky puzzle.3. String ’em up. Your line and leader are the most intimate, and most critical, connections linking you to your quarry. Stringing up with that cheap black Dacron line collecting dust on the baitshop’s shelf is a recipe for failure. And that 50’s-era wire leader designed to prevent bite offs by toothy Esox is also a significant health hazard to a hooked fish, slicing into flesh and scraping off protective slime during the fight. Twenty-first century technology, championed by passionate, conservation-minded anglers, provides solutions to both of these problems. First, spool up with a modern main line, like Seaguar Threadlock, a 16-strand braid engineered for amazing tensile and impact strength. A smooth casting line that effortlessly peels off the reel, Seaguar Threadlock features a hollow core, enabling quick attachment to an advanced leader material, like the 100% fluorocarbon Seaguar AbrazX Musky and Pike leader. Advanced by innovators in the musky fishing community, AbrazX Musky and Pike leader is highly abrasion resistant and delivers exceptional tensile and knot strength. While providing successful Musky fishing experiences to the angler, Seaguar Threadlock and AbrazX Musky and Pike leader also have Esox’s welfare in mind, allowing fish to be landed quickly in summer’s heat, and with far fewer leader-induced injuries than ever before. Summer musky prime time has arrived. This is the time of the season with the musky can truly be an “everyman’s fish”, as for these few weeks, complete devotion to all things Esox is not necessarily required for success. Use these tech tips to level the musky playing field, and be sure to smile for those musky “grip-and-grin” photos that are destined for your desk at work and your social media profile. Those memories will keep the musky flame burning bright until summer returns next year! The management measures will be effective September 5, 2017. For the Atlantic cobia recreational sector, the minimum size limit will increase from 33 inches fork length to 36 inches fork length. The recreational bag limit will be modified to one fish per person per day, or six fish per vessel per day, whichever is more restrictive. The rule will also modify the accountability measure for the recreational sector. If the recreational and total catch limits (commercial and recreational combined) are exceeded, NOAA Fisheries will reduce the vessel limit, and if necessary, shorten the following season. For the Atlantic cobia commercial sector, the rule will implement a commercial trip limit of two fish per person per day, or six fish per vessel per day, whichever is more restrictive. 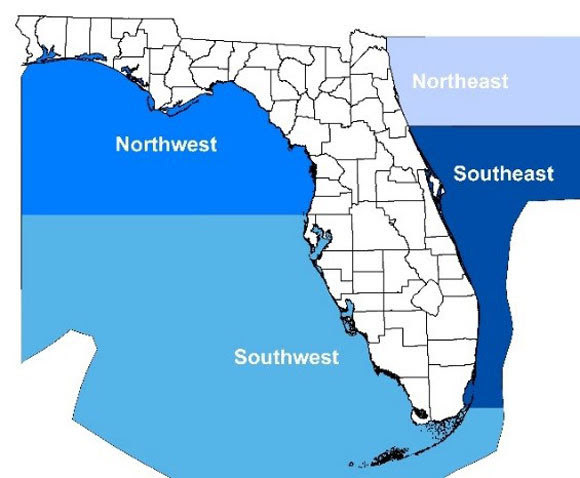 This final rule is the result of Framework Amendment 4 recommended to NOAA Fisheries by the Gulf of Mexico and South Atlantic Fishery Management Councils. These actions are expected to reduce the likelihood of exceeding the recreational and commercial Atlantic cobia catch limits in future years.